Golmaal Again is Earth Shattering in Friday Noon Shows. Housefull Everywhere. Good news first. The way Golmaal Again took bumper start at box office on Friday Morning. Film screening is increased drastically now. Friday screening will be now over 3000+ screens. From Saturday screening will be approx 3400+. This is absolute fantastic news. Now coming to much bigger and happier update of the day. Golmaal Again is simply earth shattering on Friday Noon shows. As early samples are coming in film is Housefull everywhere. Be it metros or interiors. Be it multiplexes or single screens. Film is now truly heading for a huge day. Sold Out noon shows has assured that film will easily zoom past 20 crore nett for the day. Question is whether film can cross 25 crore nett or even challenge unbelievable 30 crore nett for the day. 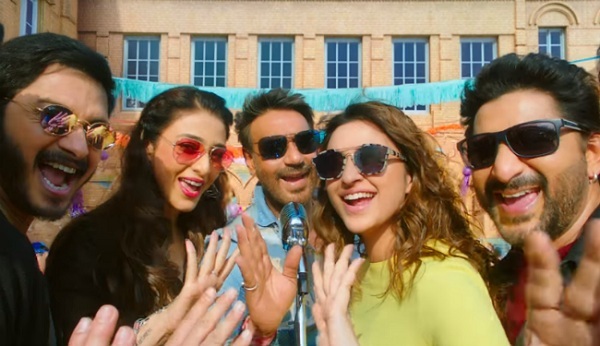 Golmaal Again has taken easily the biggest Bollywood opening of the year. Film is hugely benefit from Diwali Holiday. There is no doubt film will record Housefull shows in Evening and Night shows also. Team Golmaal is back again and how. 25++ crore kal 30 crore cross kar jyega Bz screen badhega kal. 4din me 100 crore cross kar jyegi. Ye screen ka lafda nai hota. Aur start se hi 3000 screen rahta to 30 crore pahuch jati.ab to screen 3500 kar raha hai. Kal sure 30++ crore karegi. Aj sal k best hindi movie k opening ho jyega..